Oregon forensics is a co-curricular activity that dates to the founding of the university in 1876. Tickets to debates helped fund a struggling young football program and some of the first books in the library were purchased by team members. One of the very first intercollegiate debates in America occurred in 1891 between Oregon and Willamette. Forensics is in the very DNA of the university. Today the team has more than 50 members and travels to around 20 events each year. 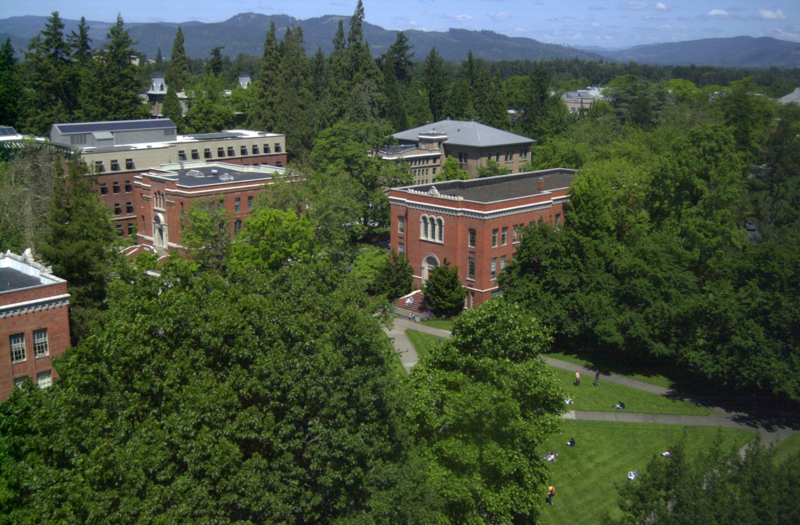 Every UO undergraduate can join the program regardless of level of experience. 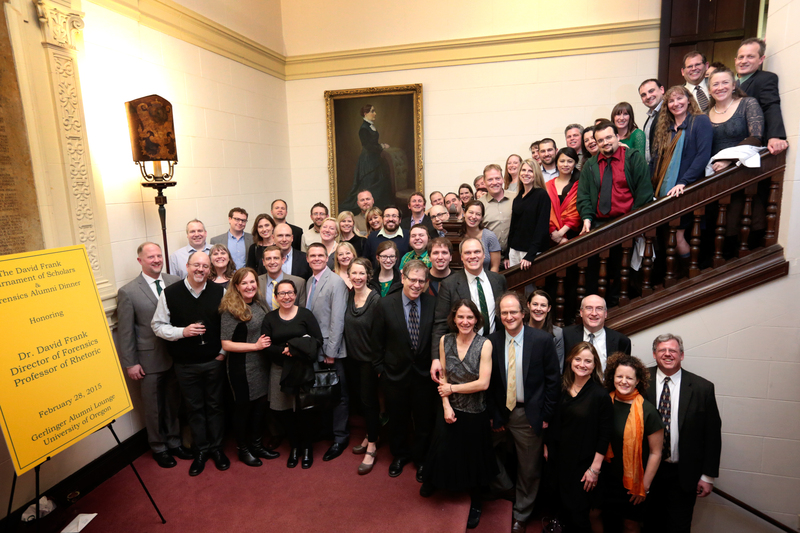 Joining forensics at Oregon will place you squarely into a network that includes prominent individuals in politics, business, law, entertainment, and academia. Oregon competes with nearly every school in the nation in at least one forensics event, including: UC Berkeley, Whitman College, University of Washington, Harvard, UCLA, Dartmouth, Georgetown and many more of the nation’s top schools. 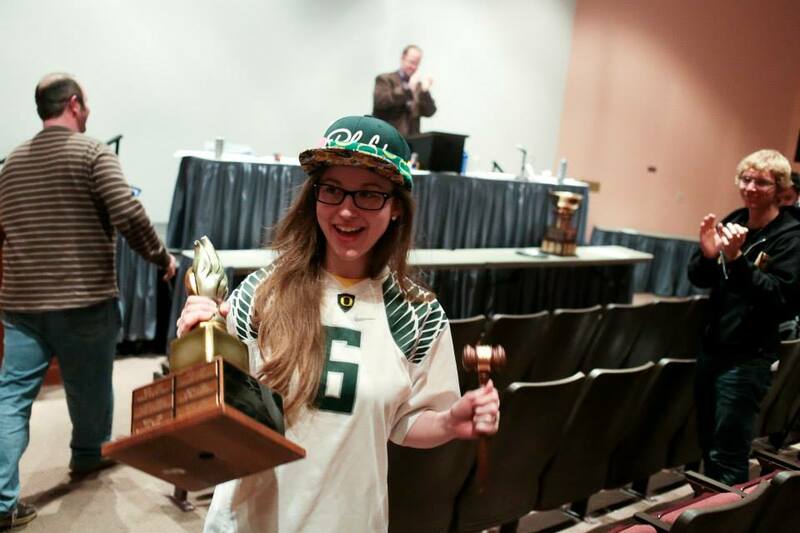 Oregon has won five national championships in forensics and alum Liz Fetherston (’14) was the Top Speaker at the 2014 National Parliamentary Tournament of Excellence. Liz Fetherston was the top speaker in the nation at the 2014 NPTE national tournament.